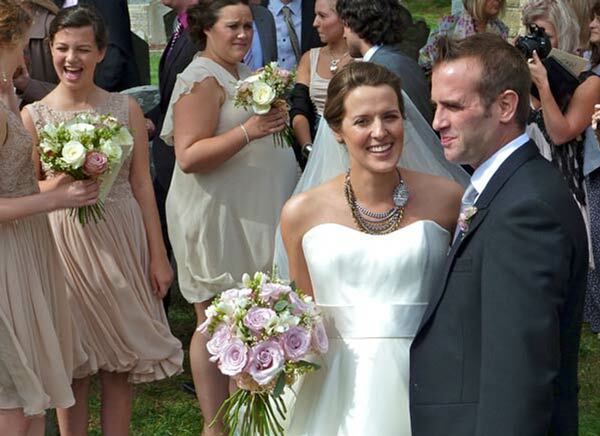 Faith's September wedding flowers had romantic vintage feel. 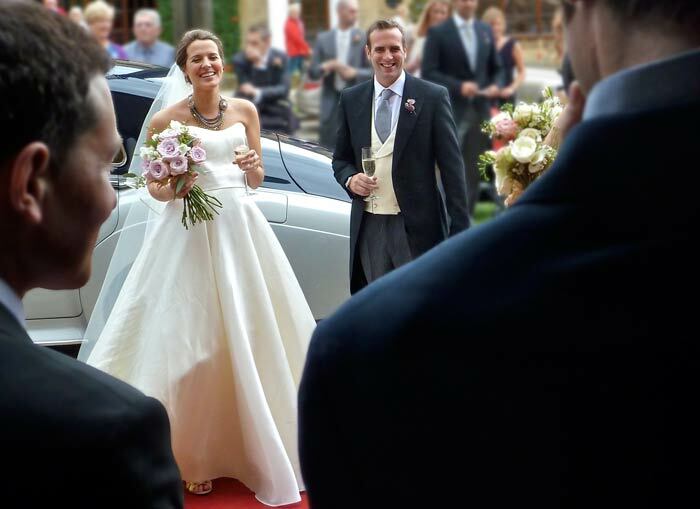 Her sunny wedding day was set in a pretty Cotswold village of Middle Littleton at the Parish Church of St Nicholas - with a fabulous reception at the world famous Lygon Arms Hotel in Broadway. 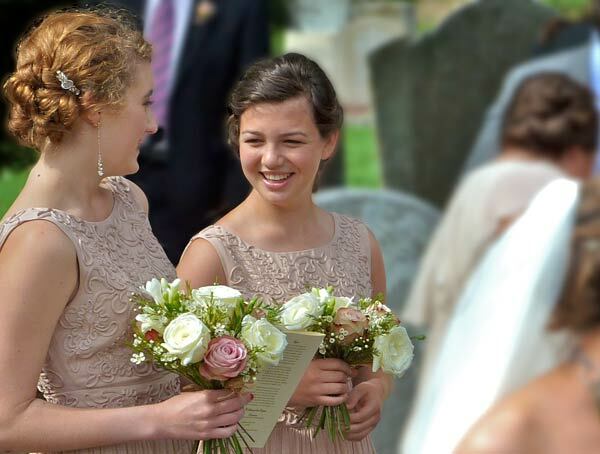 Everything went perfectly for Faith and Jon, making a day to remember, as they posed for photos with their friends and family. 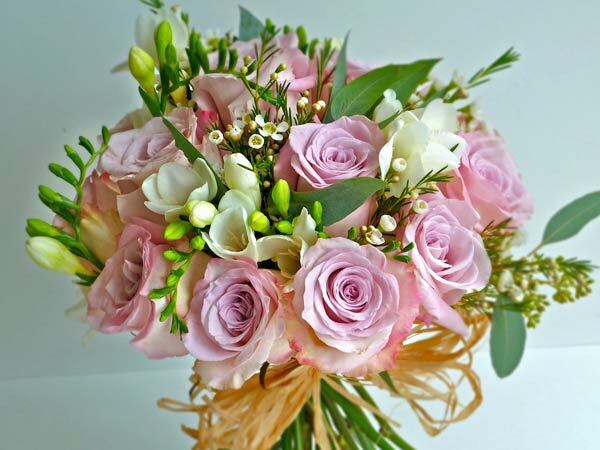 Her bouquet of her namesake "Faith" roses went beautifully with white freesias and wax-flower. 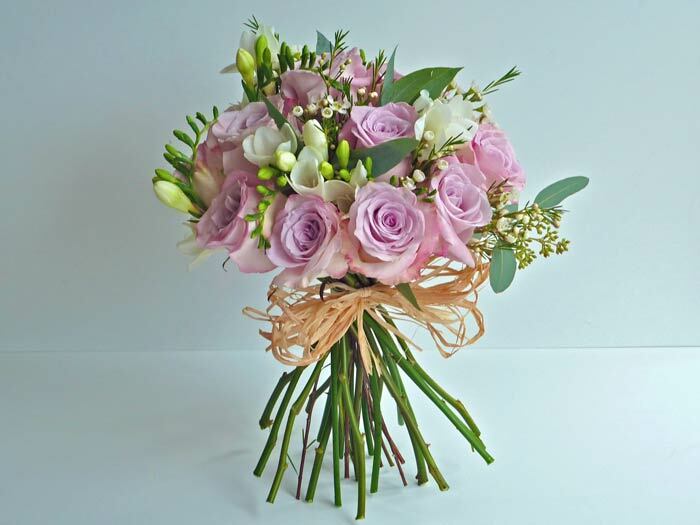 The vintage country feel was emphasised by the use of natural raffia to tie the stems. 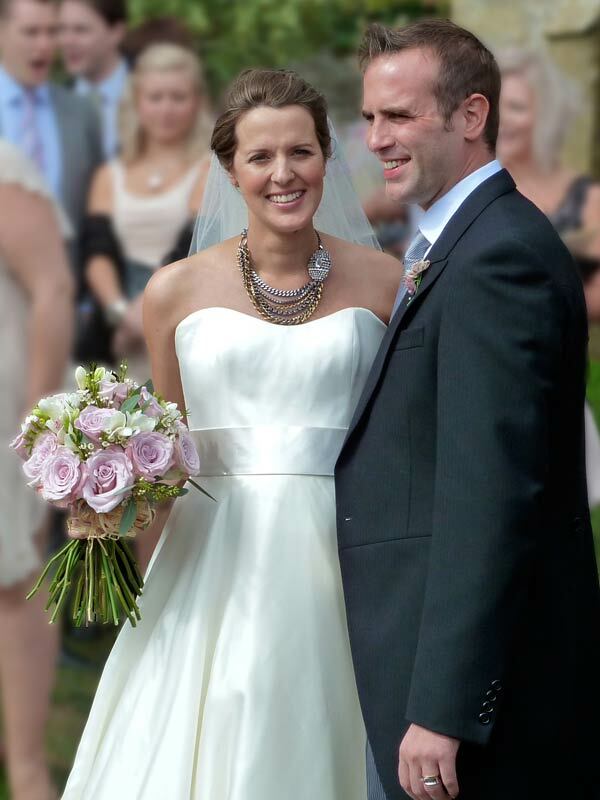 Congratulations to Faith and Jon! 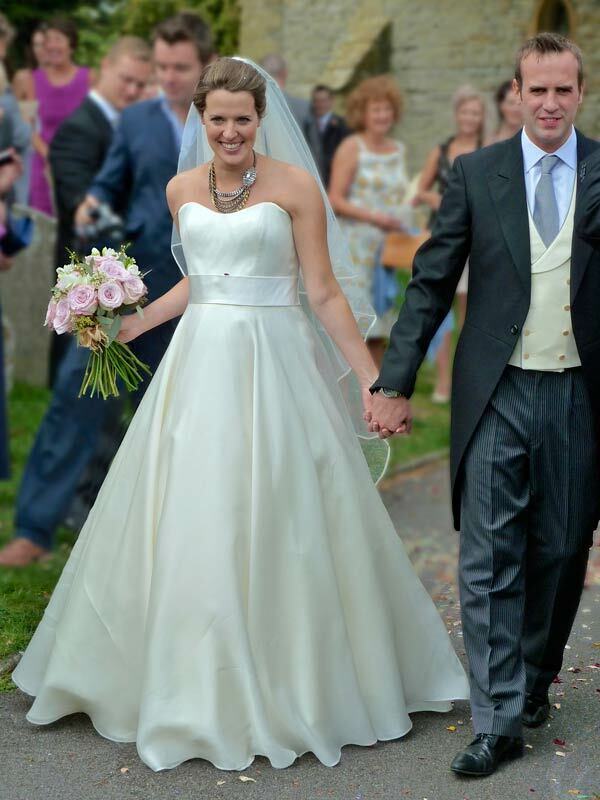 There is obvious joy and relief that Faith and Jon are now married - The important church service has gone well and the celebration at their reception at the Lygon Arms in Broadway is soon to begin. Champagne all round! 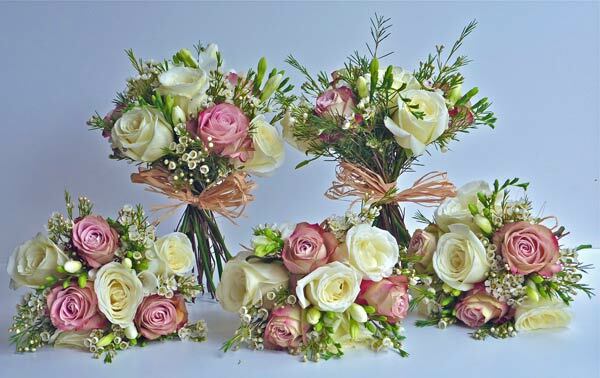 Faith had five bridesmaids and their bouquets echoed hers, but in reverse - using cream roses as the dominant flowers with a hint of pink. Every detail was planed to keep the vintage country theme. 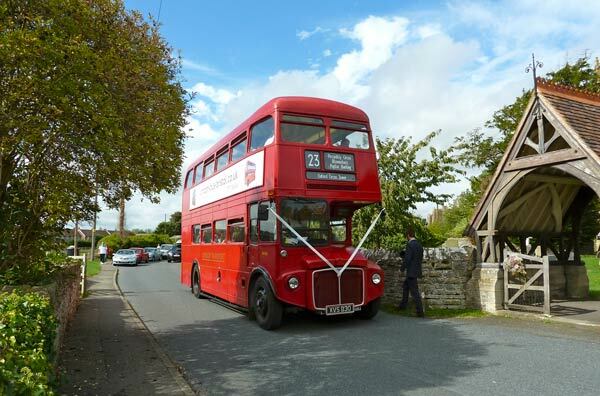 The London double-decker certainly caused much attention as it delivered guests to and from the church and reception. 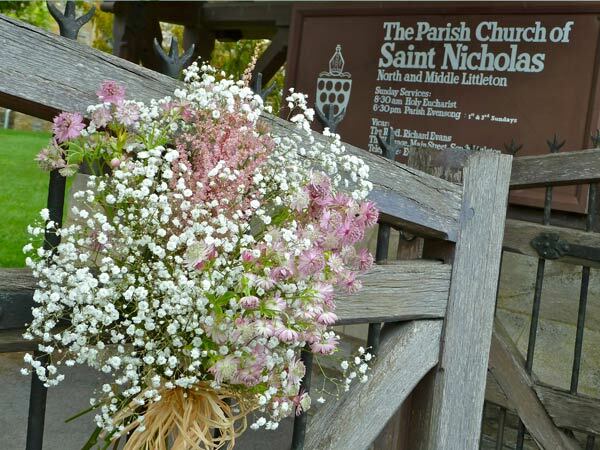 The Church gate was decorated to provide an inviting welcome to the service. 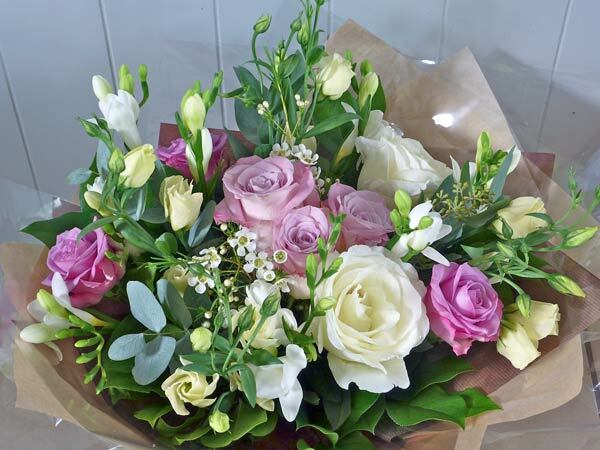 "Thank you" bouquets are always welcome - both by the recipient and by the person making the speech! 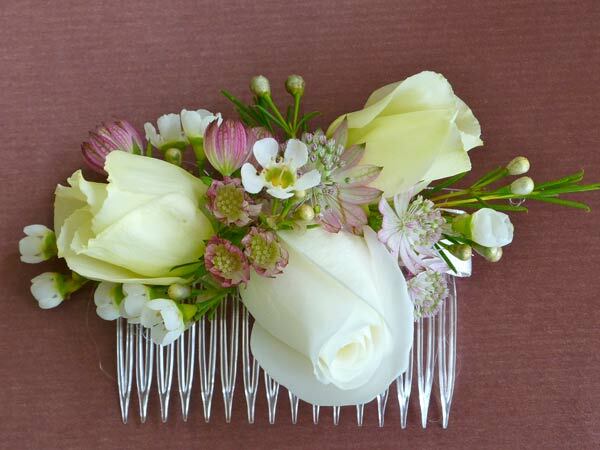 There were many accessories in the form of buttonholes and corsages - even a pretty hair comb for a young bridesmaid. 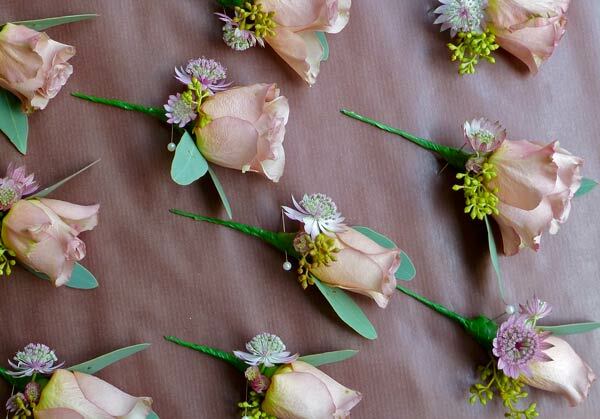 Everything in keeping with Faith's vintage September wedding flowers theme. 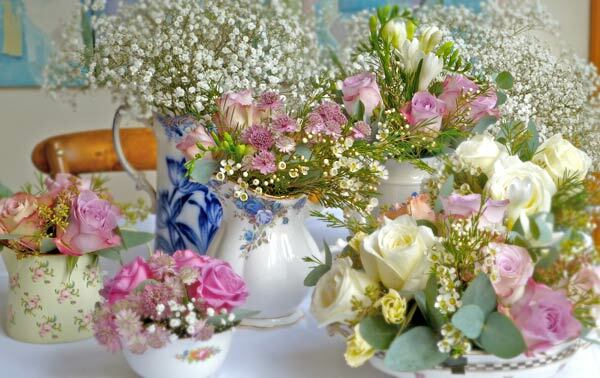 Faith also had the idea to use vintage china as containers for her reception flowers. 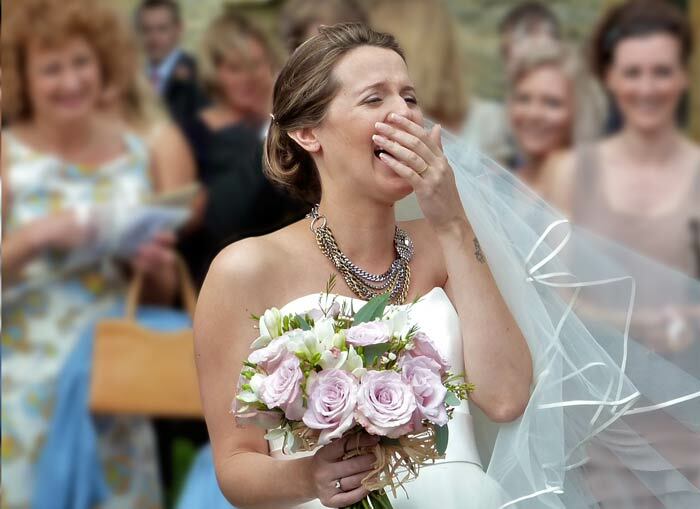 The lovely shabby chic feel went well with the eclectic mix of flowers that reflected, but also added to the ones used in her bouquet. 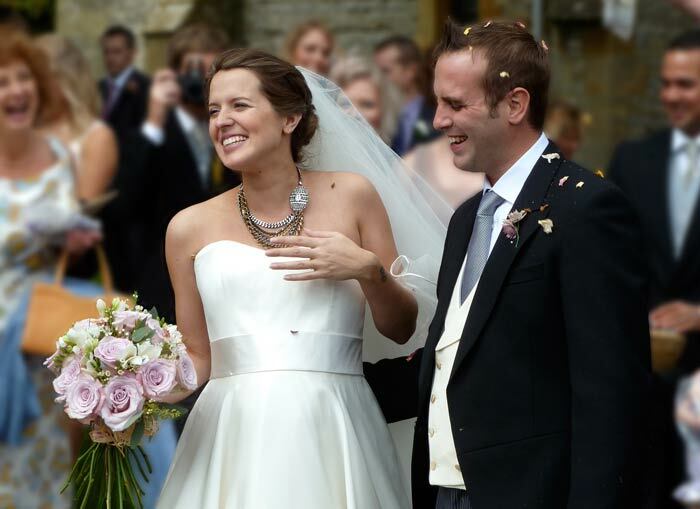 The informality but vintage feel went perfectly in the surroundings of the Lygon Arms. 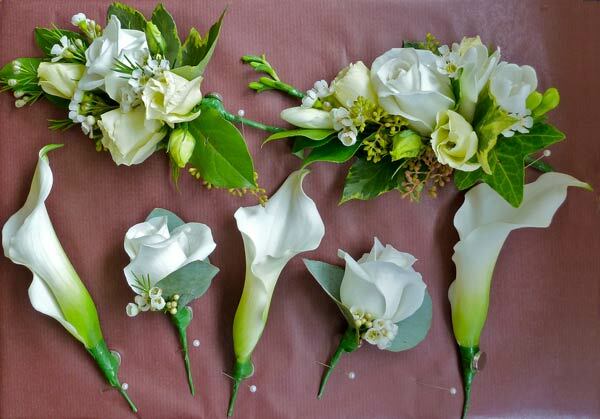 Please contact us now by ringing our Badsey flower studio to speak to Catherine or Tony, who will be able to answer any questions you have about special occasion or wedding flowers designs <br> 01386 832120 or 07771 776173. 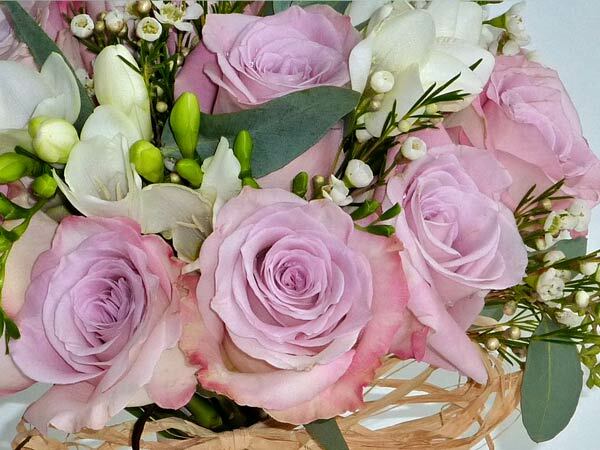 Alternatively,leave your contact details below to discuss your September wedding flowers ideas and we will get back to you as soon as possible.